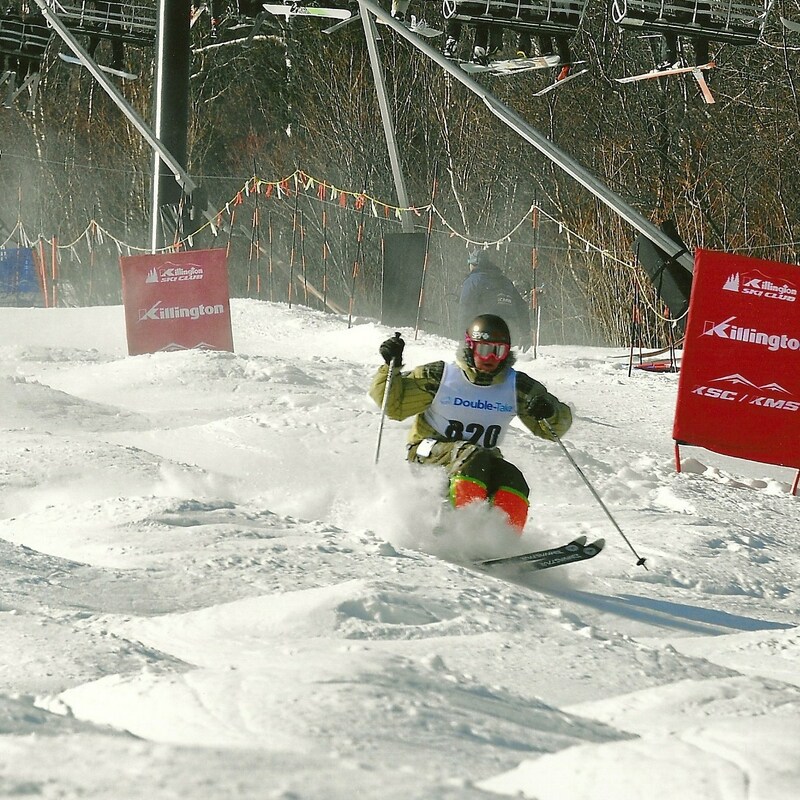 A Mogul competitions consists of a ski run down a steep course seeded heavily with bumps and two jumps. The Olympic format is a one-run elimination round, followed by a one-run final of 16 - 20 women and 16 - 20 men. In the finals, competitors ski in the reverse order of their finish in the qualification round. 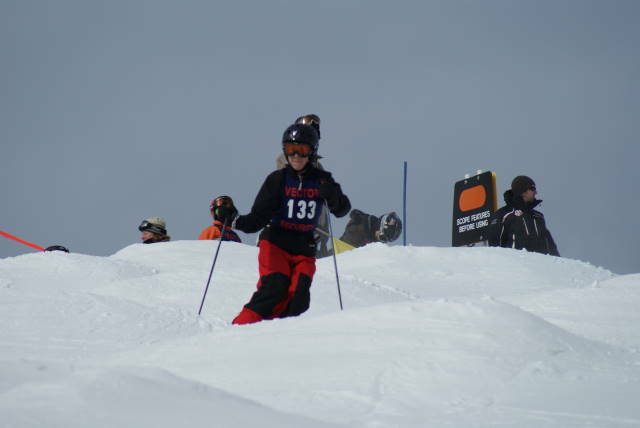 The skier with the highest score in the final round wins. Mogul scoring is based on Turns (50% of score), Air (25% of score), and Speed (25% of score). Certain judges only score turns, while other judges score only the two Air jumps. Speed is electronically certified. The skier's final score is determined by adding the average of the two Air jump scores to the total of Turns and the Speed score. NOTE: Inverted aerial jumps are only permitted in the presence and at the discretion of a certified USSA level 200 aerial coach. Reference our PA FREESTYLE INVERT/OFF AXIS PROCEDURE under Our Program tab on the home page. o Head coaches and the director can make changes to the times depending on weather, conditions or resort management. All groups will have a USSA / USASA coach present. o Each athlete will be required to specify which category of freestyle they will attend most often: Moguls, Slopestyle, Snowboarding. This insures that we will have the required amount of coaches. Athletes will be able to switch day-to-day if there is room in that class --- this is up to head coaches and director. o Snowboarders are required to stay with snowboarding coaches. Skiers are required to stay with skiing coaches. o All Training is subject to change or cancellation based on weather, conditions and / or resort management. PA Freestyle has text / email notification process for all who sign up for it. This means coaches can send out a notification as to any training changes to parents and athletes real-time. o Skiers / boarders will need to be respectfull of others and demonstrate appropriate on-the-slope etiguette. o Freeriding across the mountain may also be included during training sessions to assist in developing skills sets (Young Guns, edge control, NASTAR course, powder days, etc.). o The minimum age for athletes is age 8 as of 12/31 as of this year. Younger ages maybe accepted based upon an on the slope tryout and approval by the Program Director once the season has commenced. Contact our Program Director for additional details as to setting up a tryout or if there are other questions. Try out athletes: For those athletes that that younger than 8, as of the season, that require a try out: These athletes may register early to receive the early bird discount. However, if they do not make the team the family will receive a refund for amount paid.